Looking for a relaxing getaway? Whether you’re local traveling, make sure to visit the Duke of York Hotel! 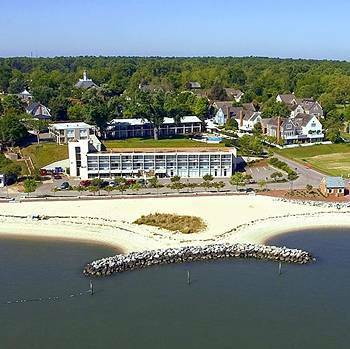 Located on the shores of the York River, you can swim at the beach, or simply enjoy the water view from the nearby Riverwalk. If history is more your cup of tea, the Duke of York is within walking distance of the Yorktown Battlefield, and is just a short drive from the original settlement at Jamestown! With so much to do and so little time, the Duke of York is the perfect oasis and centrally located to all nearby attractions. The staff is friendly and always willing to go the extra mile to suit your accommodation needs. As if the beach wasn’t close enough, there are views of the York River from every room and a refreshing riverfront pool! Plus, a local favorite, The River Room, is right on the first floor – a delicious spot to grab a bite and indulge in beach views. Additionally, the Yorktown Battlefields are just a short walk away and a quick a 10 minute drive will take you to Busch Gardens Williamsburg or Water Country USA. You can also check out Colonial Williamsburg, shop at the Outlet Malls, or enjoy local wineries. The Duke of York is a family-run business, passed down generation to generation. So whether you’re looking for some southern hospitality, beachfront lodging, historic areas, local attractions, or great food – the Duke of York has it all! Hampton Roads Real-e-statement is written by Alyssa Godwin, a Realtor with Liz Moore and Associates. For questions about the Duke of York or local attractions contact Alyssa at 757-329-6161 or alyssagodwin@lizmoore.com. You can also find Alyssa on Facebook or on the web at www.lizmoore.com/alyssagodwin.